Product prices and availability are accurate as of 2019-04-17 19:49:20 EDT and are subject to change. Any price and availability information displayed on http://www.amazon.com/ at the time of purchase will apply to the purchase of this product. 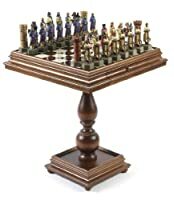 Chessmen and checkers not included. Made of Wood. Walnut/mahogany color. 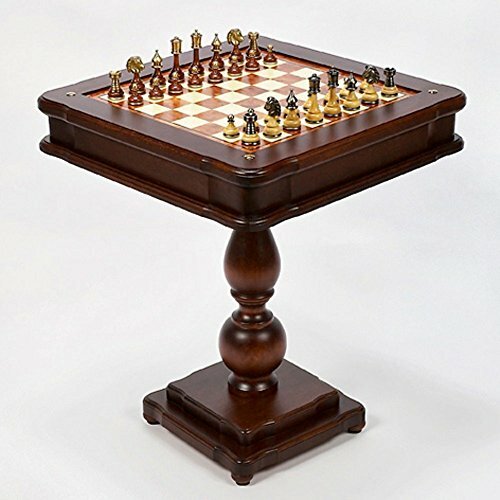 Backgammon, Chess, Checkers and Card Table from Italy. Handcrafted by Italian craftsmen of the finest quality Woods. Dice and 1 Wooden cup included only. 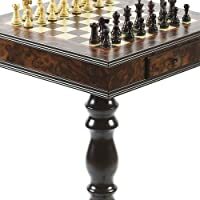 Backgammon and Chess inlaid with Briarwood/Ma. Chessboard squares: 2 in.. 23 in. W x 27 in. H.